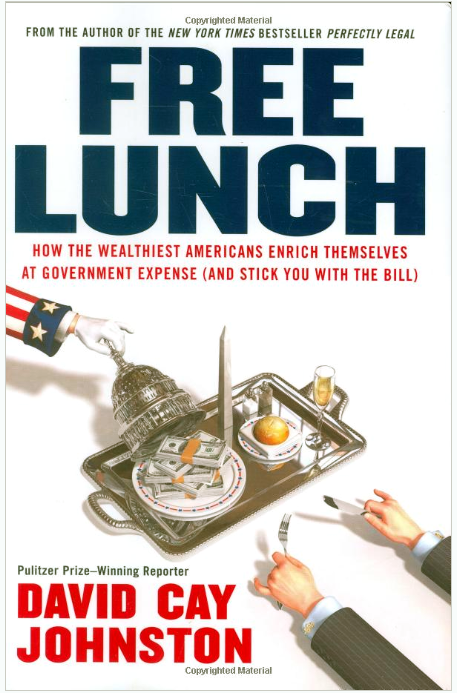 I am reading Free Lunch, by David Cay Johnston. Mr. Johnston’s book is not making me happy. Maybe it’s not the best choice for bedtime reading. There’s not a whole lot in there that I don’t already know in theory, but it sure can get me riled up when I read the details. then try reading Free Lunch. It is hard to be optimistic about the future of this nation.